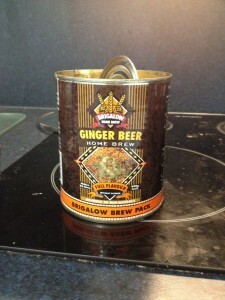 I really enjoy a good home-brew ginger beer, it’s a perfect summer drink. I’ve made a few different varieties from the different pre-mixed cans that you can buy, but I can never remember which ones are the best. A month ago, I made up a fresh batch of ginger beer. This time, I took a photo of the pre-mix can, so I’d know which one was good. I had a bit of a disaster as I was making it. I accidentally poured the wort over the hand-mittens that I was wearing to protect my hands from the heat. I was certain that I’d infected the batch, but I went ahead anyway. After two weeks fermenting, I opened up the fermenter. There was a nasty black mould around the thread of the fermenter, but the beer looked and tasted great. I bottled up the beer. After a week of gassing, I gave it a first taste. It was really excellent. The temperature-controlled fridge had done another great job. There were hardly any off flavours to the beer at all. This kit has only a light ginger flavour, and comes out tasting quite similar to the famous Bundaberg ginger beer. 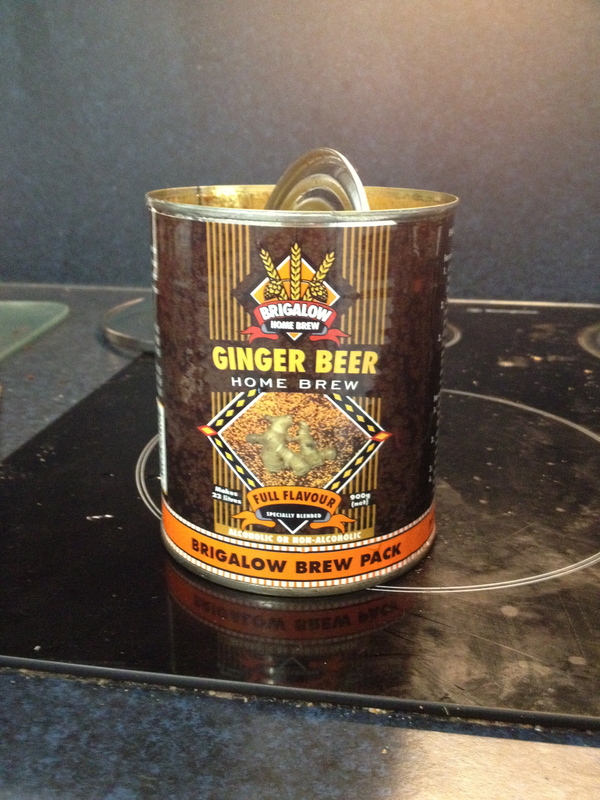 Next time, I think I’ll try making a ginger beer from scratch. To do that, though, I’ll have to buy a wort chiller, to cool it down enough for fermentation. This entry was posted in homebrew on November 1, 2012 by David.